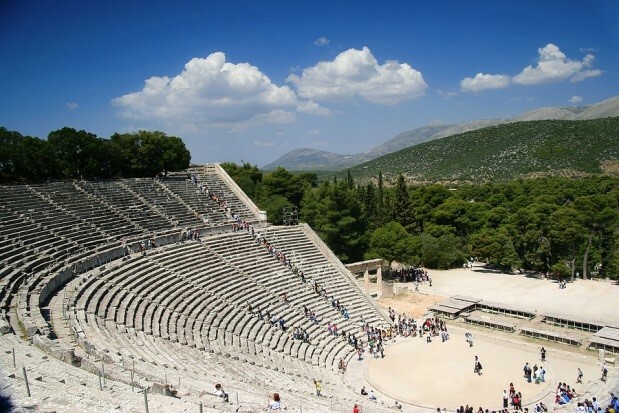 In a canyon, in 340 BC, an Argos architect Polycleitus the Younger, built, according to Pausanias, the theater of Epidaurus the finest and most renowned of its kind, combining perfect acoustics with elegance, symmetrical proportions and capacity of 13,000 spectators. The Ancient Theater of Epidaurus is situated within the archaeological site of the Sanctuary of Asclepius, in the Argolis prefecture of the Peloponnese. 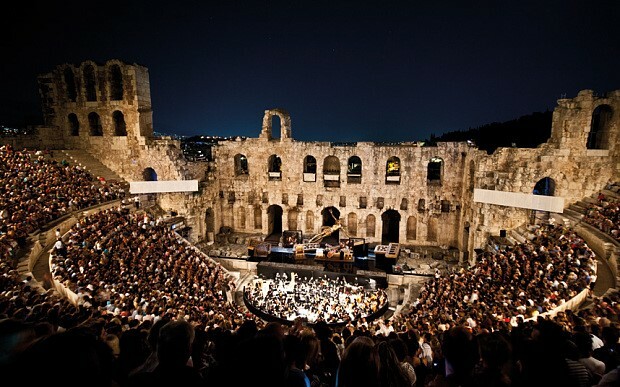 Since 1954, the theatre is hosting each summer the Epidaurian festival, mainly ancient drama performances, celebrated as a major international theatrical event. Do not miss the opportunity to see a theatrical play in this magical theater and feel the vibes of the ancient culture overwhelm your soul.